The 26th Anniversay of WWE Survivor Series is coming this Sunday live from the Bankers Life Fieldhouse in Indianapolis, IN. Originally headlined by a traditional five on five elimination match, the final of the “Big 4” for 2012 has had some sudden changes. Again with just one announced traditional Survivor Series match and a triple threat match for the WWE Championship headlining, the WWE Universe has a lot to look forward to, even though I don’t expect much surprise. With my record of predictions still strong, let’s break down each match and see if I can keep it up. According to WrestlingInc.com, WWE has announced the pre-show match to be 3MB without Drew McIntyre (due to the passing of his mother) against Team CoBro. This match makes perfect sense for the pre-show. Especially with a pay-per-view like Survivor Series, which is all about teams. Both teams have been seen each week on Raw and are the go to jobbers of today. To me, 3MB seems to win more often than CoBro and after their popular Behind the Scenes segment, are getting a small push. With that said, I expect 3MB to score the victory here and win the star of jobber award. I will give as much time to this match prediction as WWE gives to divas matches. Ok, I’m done…just kidding. Kind of. This feud should have ended already and AJ should be put into a feud for the Divas Championship. In either case, I don’t expect Eve to lose. She is a great character who has been doing a lot for WWE both on WWE TV and with outside projects. Kaitlyn is a great challenger, but it’s not her time. Eve should win cleanly and end this feud once and for all. However, WWE probably won’t put much thought into the divas and keep the feud going. #AJforDivasChampion! This is Cesaro’s best feud since winning the United States Championship and saving the title from the nightmare that was Santino. That is sad. It’s sad that with all the young up and coming superstars, WWE has put R-Truth in the challenger’s seat. Even though guys like Alex Riley, Brodus Clay, Johnny Curtis/Fandango, Michael McGillicutty and Ted Dibiase should be in line for a U.S. title shot, WWE went with the veteran R-Truth. I will give Truth some credit though. His promos have been great, giving Cesaro the opportunity to show off his promo and mic skills as well. This should be a very entertaining match, but there is no way R-Truth beats Cesaro. Cesaro is a prime example of an up and coming superstar who won’t lose unless it’s to another up and coming superstar. 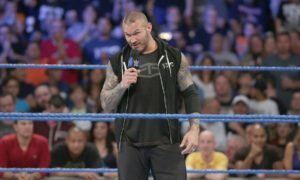 Despite the fact Foley has basically no reason to be involved in this match, Team Orton as it’s called deserves to win. As a top Mizfit, I am ecstatic that the Miz is finally turning face. It’s been a long time coming. Plus, his interactions with Team Hell No are going to make this run last even longer. I spotted Miz and Daniel Bryan smiling while arguing with each other on Raw. If you didn’t notice this, I encourage you to go back and watch. Another reason why Team Awesome Hell No will win is Dolph Ziggler and his Money in the Bank contract. Can’t you see Ziggler lose in this match only to go on to cash in his contract and win the World Heavyweight Championship? It’s has to happen eventually so a man can only hope right? Here are my predictions for the order of elimination for this match: Kofi Kingston, Alberto Del Rio, Wade Barrett, Randy Orton, Cody Rhodes, Damien Sandow, and Dolph Ziggler. This rematch was inevitable and for a while it seemed like it was the only World Title on the line at Survivor Series. However, now it is just another WHC title match that will play second fiddle to the WWE Championship match. Big Show and Sheamus’s match at Hell in a Cell was incredibly underrated and I expect another great match between these two on Sunday. How long will Big Show be champion? It’s hard to say. Regardless, I don’t expect his title reign to last past Royal Rumble. This could be another instance of Big Show holding a title for a month only to give it back to the previous holder. He did this at WrestleMania with the Intercontinental Championship and Cody Rhodes. The WHC title picture needs a change again. Despite the quality of matches Show and Sheamus have given us, neither one should be in contention for the gold. Big Show had his time a decade ago, while Sheamus became a stale character while champion. Big Show is better off as a bodyguard or insurance policy for an authority figure. In addition, Sheamus needs to begin to create a babyface character that people will love and not find boring and stale. Sheamus has begun to become more aggressive and that may lead him to another title reign. There is also always the Dolph Ziggler factor. This would be the perfect time for Ziggler to cash in to help revive the World Heavyweight Championship scene. Ziggler will be World Heavyweight Champion by Royal Rumble. Although I don’t enjoy seeing Big Show as champion, I think this feud continues. Is there anyone who doesn’t think Punk walks out Survivor Series without the title? John Cena is in the middle of a scandal with AJ Lee and Vickie Guerrero. Plus, Ryback didn’t win last month because it’s been too soon so why would this month be any different? 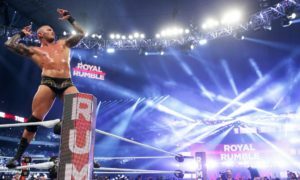 It seems obvious CM Punk will be the one to face The Rock at Royal Rumble so until then the WWE Championship will not be changing hands. With that said, the question is how will CM Punk win? I have to think that Cena will take the pin here. Punk and Cena’s feud never officially ended due to Cena’s injury. However, it is very possible that AJ, Vickie and or Dolph could play a part in this match. In addition, don’t forget Heyman’s conversation with Brad Maddox on Raw. Though it did not end up playing a part in the Ryback and Maddox match, it will come up again. Similarly to how Maddox screwed Punk out of a match on Raw and didn’t make any noise again until Hell in a Cell. Cena could take the pin and get screwed by AJ/Vickie/Dolph or Ryback will get screwed again somehow by Brad Maddox. Either way you look at it, CM Punk will enter Survivor Series the best in the world and he will leave the best in the world. In addition to the announced matches, I also expect to see another match or two. The eight man tag team match on Raw (Justin Gabriel, Tyson Kidd, Rey Mysterio and Sin Cara vs. Prime Time Players, Epico and Primo) should have been saved for Survivor Series. However, don’t be surprised to see a rematch or a four way tag team elimination match this Sunday. I hope to see more than one traditional five on five Survivor Series match also. Is that too much to ask for? Apparently it is. There are so many superstars with nothing to do. Why not put them into more traditional Survivor Series matches? Oh, because regardless of what WWE does, people will complain. Don’t get me started with that though. I will save it for another day. Survivor Series 2012 had a very strange build up, but it should definitely be entertaining. I am actually most excited for the traditional five on five match. Unsurprisingly, I am least excited for the divas match. It’s been Me. It’s been Me. It’s been the G-U-DOUBLE T!